The beauty and wellness industry is growing at a steady pace. It is no surprise, considering that there are over 82,000 beauty salons, bringing in over $20 billion every year. Out of this, small businesses form the largest chunk, with larger salons bringing in only 15 percent of the revenue. The target consumer age group for beauty salons used to be 35 to 64 until a decade ago. But now, with teenagers flaunting the latest makeup trends and haircuts, the target market is aged from as young as 16 or 18. Even those past their prime frequent salons for looking their best and hiding signs of aging. The market for beauty salons is growing by the day, with a 15 percent increase predicted for 2018. Given the demand for beauty services, opening or expanding a beauty salon makes sense. But both opening and expanding a beauty salon requires large capital infusion. A significant stream of working capital is also required to keep the business running smoothly. In addition to the costs of getting the salon off the ground, the daily expenses of running the business can also give rise to cash shortage during lean business periods. After all, there is serious competition in the beauty industry, and if your salon isn’t the best, customers will find someone else. That is why you always have to keep your business at the top of the game. Beauty salon loans are meant specifically for these businesses. Whether you need a big loan for opening a new salon, or a short term loan for buying equipment, there are various types of funding options available. While some are easier to qualify for than others, there are different options available for those with good credit and strong revenue, as well as for those with poor credit. There is no end to the reasons why you could need capital for your business. And when the business is a salon or spa, the reasons are varied. First and foremost, the hairstylists, makeup artists, and other professionals working at the salon need to be trained and certified, and they charge a good amount of money. The equipment needed is also costly, from the best styling tools to ergonomic chairs. Depending upon the size of your business, your annual revenue, and your personal and business credit, there are a number of funding options for a beauty salon. Let’s discuss some of them below. Beauty salons and spas need financing for various purposes. Aside from the requirements of professionals, equipment, and tools, salons also need to invest in advertising and marketing because salons are considered luxury business. All these can create a need for access to capital. Although there are several funding options available for small businesses, traditional lenders often view the beauty industry as risky and decline salon funding for this reason. Traditional loans also take a long time to fund, which isn’t helpful for immediate needs. This is why both traditional and alternative lenders must be considered for beauty salon loans. If you are a new business with no prior experience of running a successful salon, then you will most likely be turned down by commercial banks. Although bank loans are the best known funding, they can be hard to get for startups and new businesses because there’s no proof you can repay the loan. However, if you are an existing business that brings in sufficient revenue, you could qualify for a traditional bank loan. The biggest downside of commercial loans is strict eligibility criteria. Small businesses like beauty salons usually have an insufficient credit history or are not established enough to bring in enough revenue to meet a bank’s eligibility requirements. Bank loans are the most secure loans available anywhere, so you can be sure of not getting ripped off. But since beauty salons are considered risky, it is hard to qualify. But if you do meet the strict eligibility requirements and qualify for a bank loan, you have to pay an interest that is lower than everywhere else. With an impressive credit history and strong annual revenue, you may even be able to convince the lender to lower the interest rate. If you have enough credit and revenue to qualify for a commercial bank loan, there is nothing like it. But remember that bank loans are best for needs that aren’t immediate because the processing time is usually two or three months. If you need funding within a week or so, you may have to look elsewhere. This is another long term loan option for those who need funding for bigger expenses. For instance, if you want to own your salon space instead of renting it, an SBA loan could be the right choice for you. The US Small Business Administration has been helping small businesses like beauty salons and spas since 1953. They offer loans and other forms of financial assistance to start and expand businesses. But the SBA is not a lending institution. It partners with trusted lenders to help small businesses get the funding they need. The SBA guarantees the loan so the lender has low risk even if the borrower defaults. When you apply for beauty salon loan, you have to do so through an authorized SBA lender. SBA loans are primarily used to purchase commercial real estate, but can also be used for working capital needs. There are many benefits of SBA loans if you manage to qualify. The down payments are low and the repayment terms are longer. The rates of interest are low also because the SBA guarantees part of the loan. If you want to grow your business while also building on capital, SBA loans are a sound option. But the major downside is that they are hard to qualify for, because the individual lenders have their own strict requirements. A business line of credit isn’t actually a loan, rather a pre-approved amount of money that a business can draw from multiple times, like a credit card. You only have to pay interest on the amount of credit that you use, so the less you use, the lower your interest rates. A line of credit is an affordable solution than other forms of funding if you need fixed amounts of money intermittently. You also don’t need to reapply again and again. 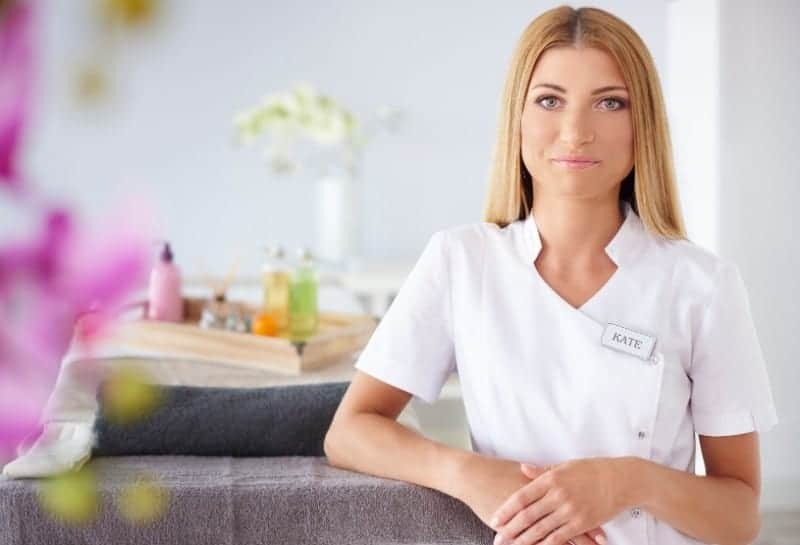 A line of credit is the best solution for funding for a beauty salon because it gives you access to cash on a recurring basis and provides you with short term working capital. A short term loan for a beauty salon loan is a lump sum amount with fixed weekly or monthly repayments with interest. Short term loans usually have higher interest rates and repayment terms of less than three years. Although a short term loan is paid off within one year, you will need to reapply each time you need funding. The biggest benefit of a short term loan is that it helps to fund an immediate need. For instance, funds required for booking new business or for advertising or marketing can be easily provided by a short term loan. Although the fixed repayments are high, if you know that you will make more money than you will spend, a short term loan is a good investment. 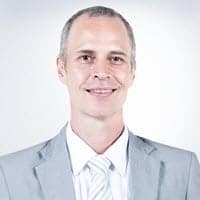 A business credit card works quite like a business line of credit except that it is much easier to qualify for and are useful for smaller loan amounts. Even though you may not use it often, a business credit card is a must-have for every beauty salon. Although the amount you will be approved for is small, you can still qualify for cash back or rewards points that you can use for other purchases. 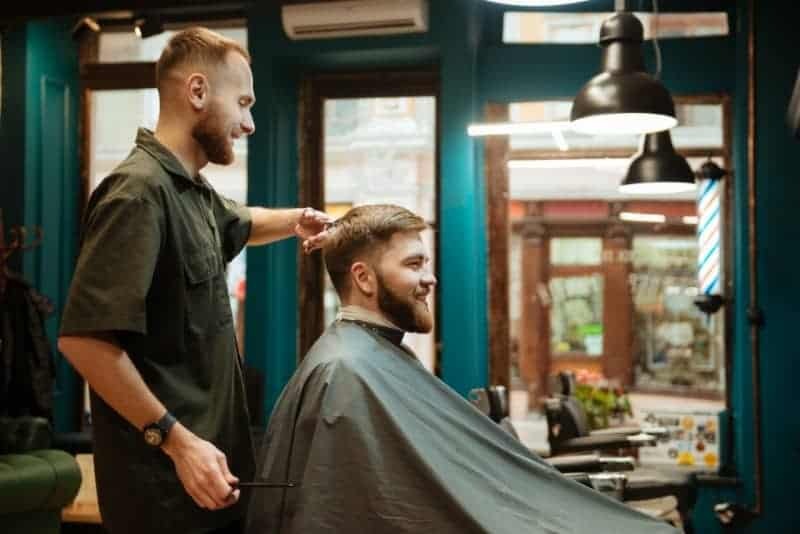 A business credit card is best in making small working capital purchases for the salon’s daily needs, like a small line of credit to help pay for recurring expenses. But remember that they don’t offer a large amount of financing, probably less than $20,000. Even then, it is better than nothing on a rainy day. Different loans are offered at different places. For a traditional loan, you will either have to approach a bank, a credit union, or an SBA-approved lender. Every lender will have different requirements. You can approach the lender itself or you can go through a licensed broker. In many cases, brokers can help shop around for the best rates. Before you visit the lender, you must be aware of the steps involved in applying for a beauty salon loan. If you have no idea how a loan works, the lender will most likely not approve you. Increasing your knowledge about the types of loans, the process involved, and the requirements for each is a must before you walk into the lender’s office or fill out an application online. You may also want to check out the information available online regarding the different types of beauty salon loans. When applying for a small business loan for a beauty salon, you will always have to provide proof of income and revenue. This is all the more important for a beauty salon because they are considered risky by most traditional lenders. You have to convince the lender with proof that you are able to repay the loan. Documents related to business revenue and personal income have to be submitted, including bank statements, tax documents, and credit card statements. If your beauty salon accepts payments in cash, you may also have to furnish the receipts. The amount you borrow must be within your budget, and lenders want proof that you have planned ahead. Although many lenders are happy with just a simple budget about what you plan to do with the loan money and how you will repay it, some loans might require a full business plan rather than just a budget. If you choose a secured loan, you have to provide documentation of your current assets. Assets include commercial property, equipment, and tools, cash in hand, stocks, bonds, etc. Lenders also need to verify if you are a legitimate borrower. For this, you need to furnish government issued identity documents like driver’s license, social security number, passport, etc. Each loan will be different from the other, so it is vital that you do your homework in advance. A beauty salon loan helps your business in various ways. From helping you start a business to providing funding to own your space and buy equipment, beauty salon loans form a vital part of every salon owner’s business. Given the various types of loans and the different terms of each, being aware of the requirements and the funding process makes it easier for you and increases your chances of approval.